The Lake, viz. 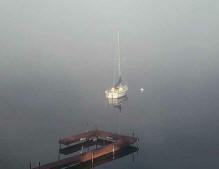 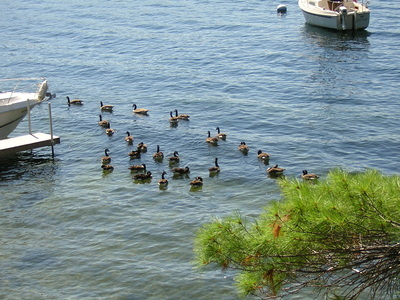 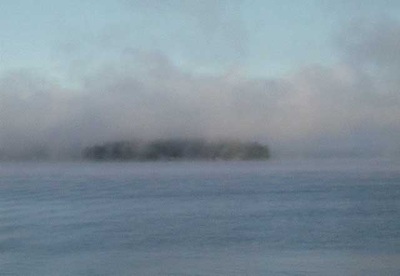 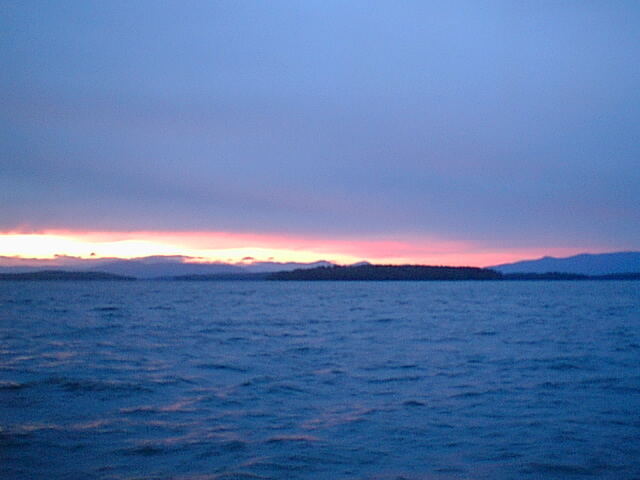 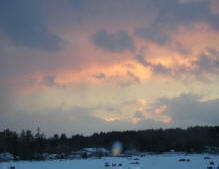 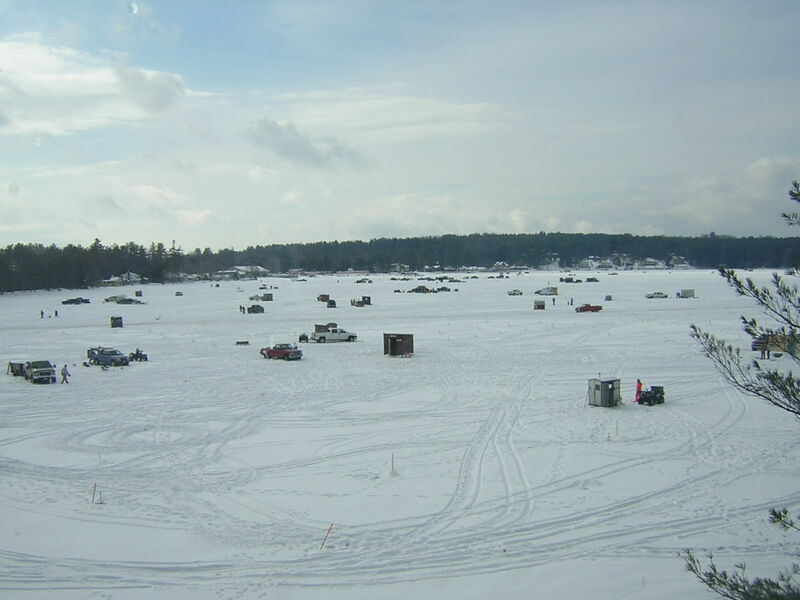 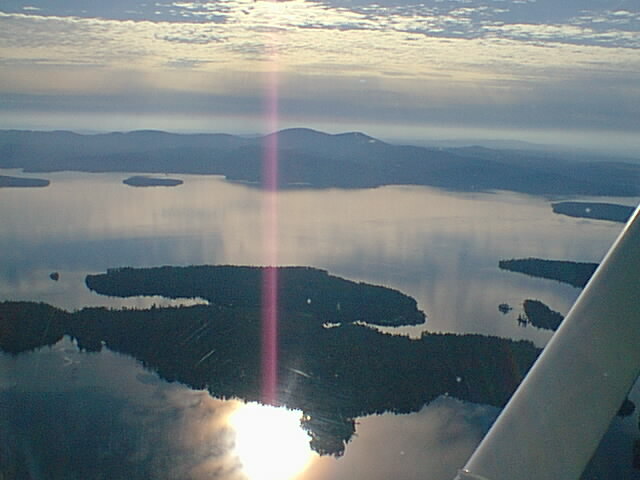 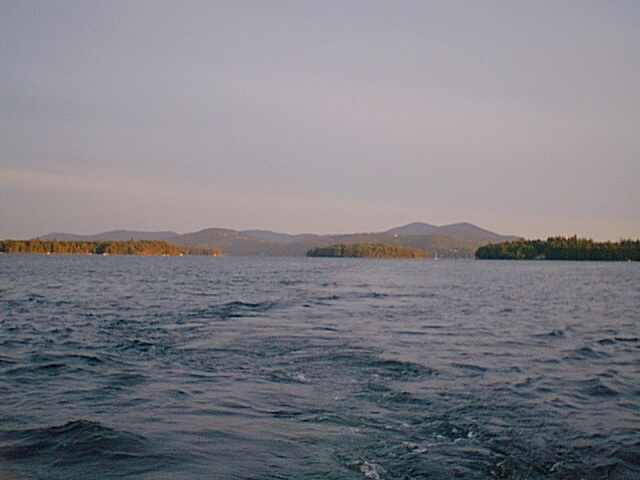 Lake Winnipesaukee. 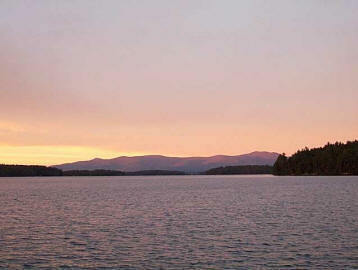 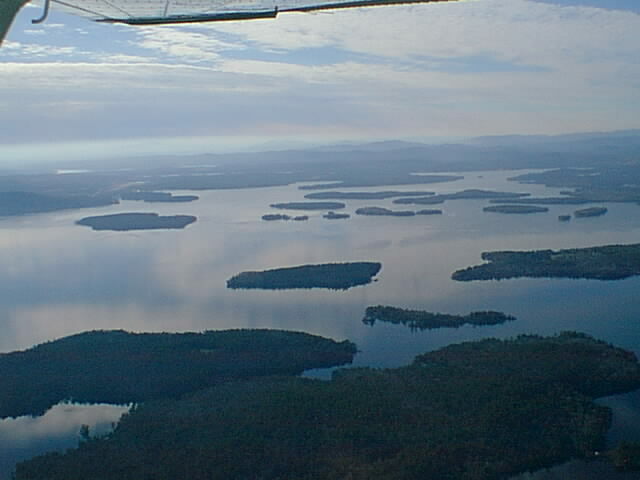 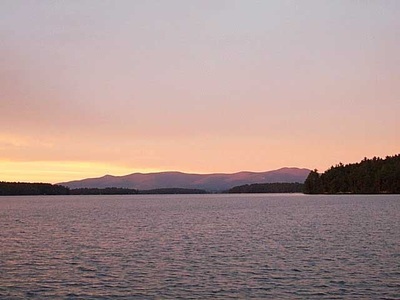 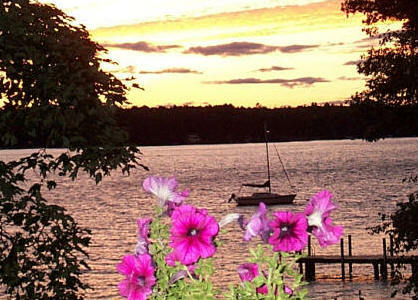 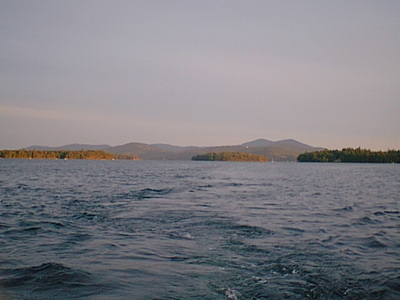 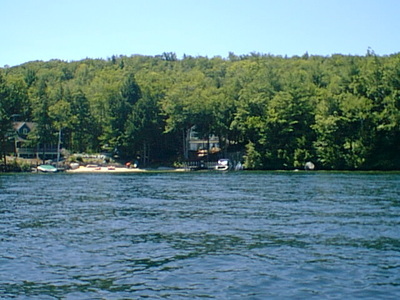 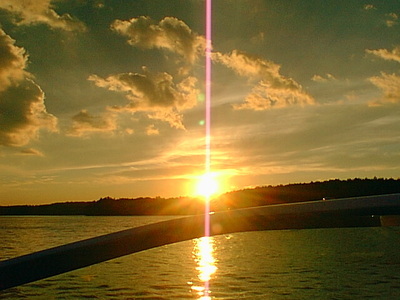 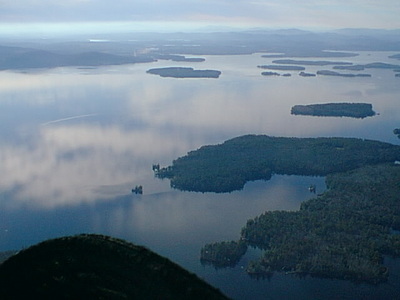 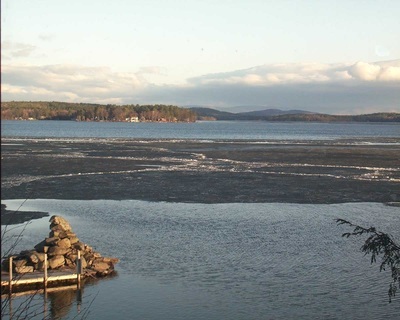 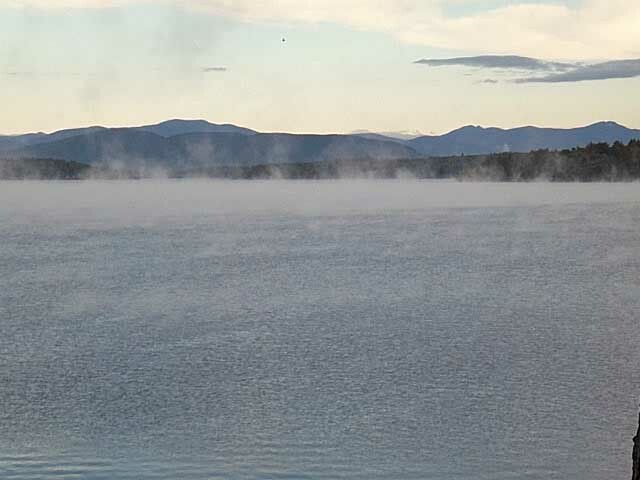 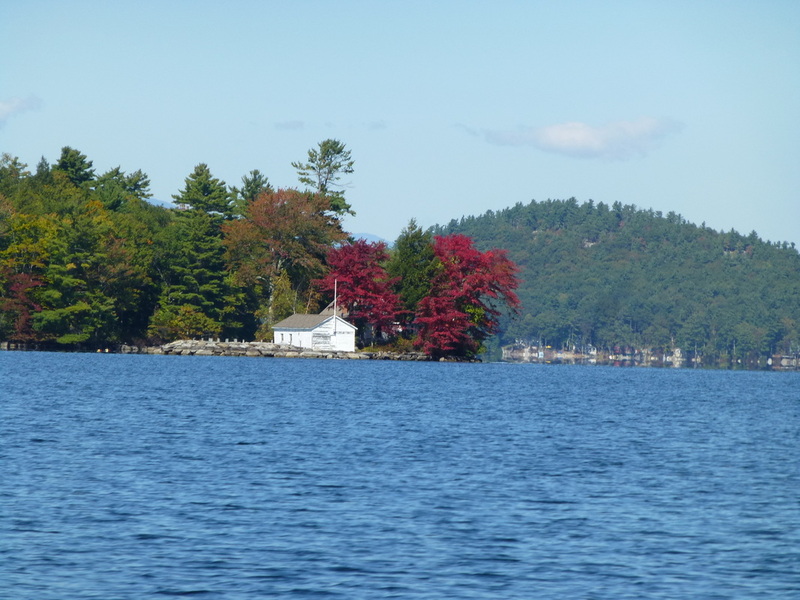 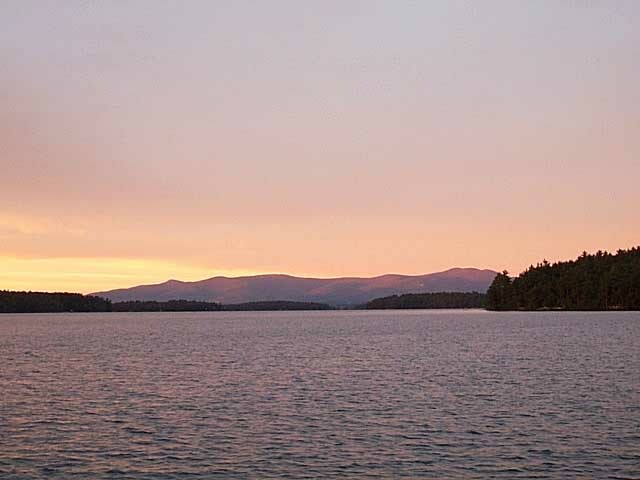 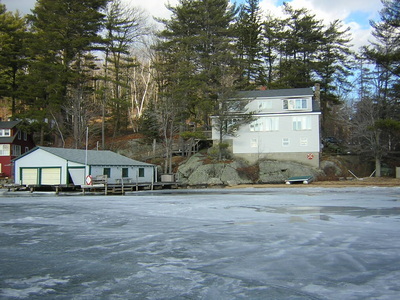 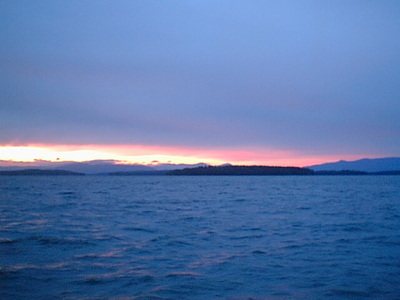 Lake Winnipesaukee, which majestically graces central New Hampshire, at 72 square miles is reputed to be the largest, natural, fresh-water lake entirely within the borders of the United States[and the key here is the amalgamation of all of the caveats]. The name is obviously American Indian, where the accurate translation is said to be "beautiful water in a high place", though most locals like to subscribe to the more romantic, but supposedly inaccurate, "the smile of the great spirit" variant. The lake is about 25 miles long from tip-to-toe, and about 15 miles wide at its broadest [which happens to be in the area known as "the broads"]. 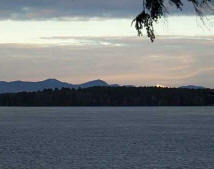 The distance around the lake is 182 miles, with the actual shoreline [excluding the islands] coming to 178 miles. 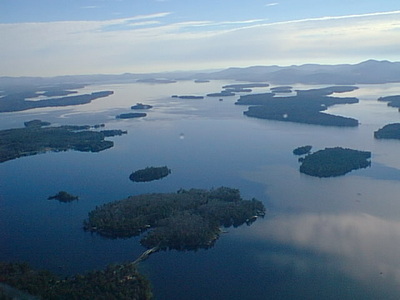 The shoreline of all the islands (and the exact number of islands has never been satisfactorily identified because of the LARGE rocks, and remember that this is the granite state, that may or may not be classed as islands) comes to just over 100 miles. 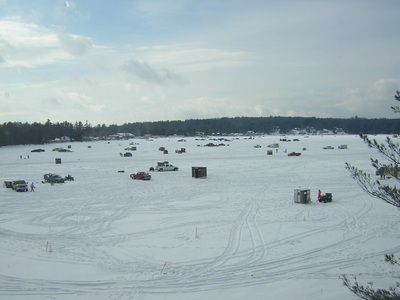 The maximum depth is 180' while the average is 43'. 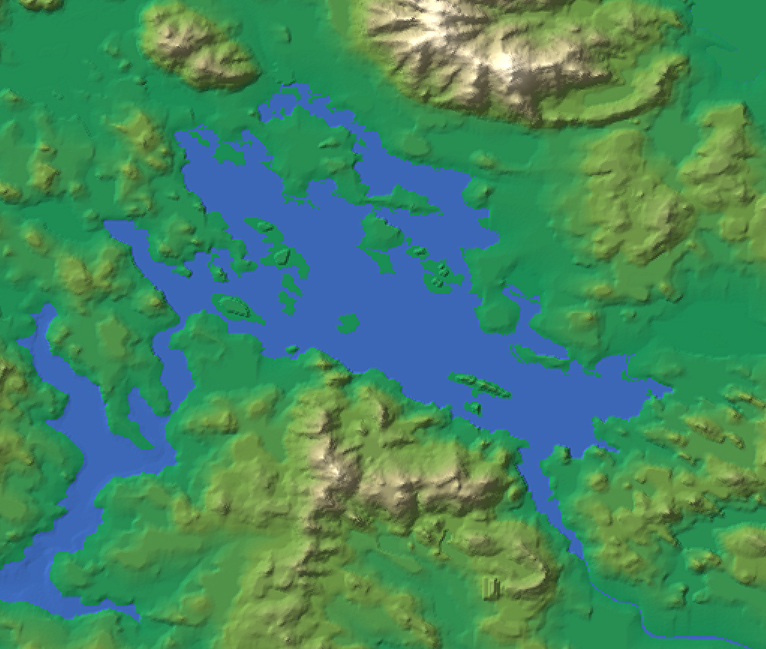 There are lots of rocks in this lake and you need a good map, or know your way around, if you are going to boat on this lake on a regular basis. 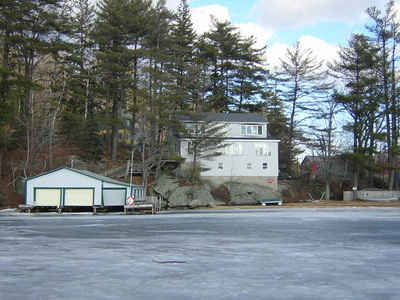 Most of the marinas feature a wall with all of the props that they could not mend. 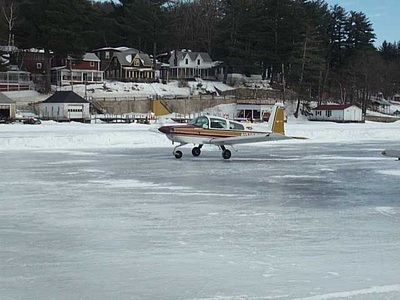 Over the years I have sacrificed two props. 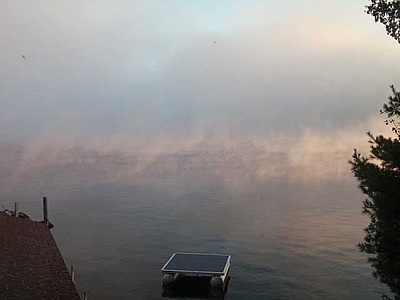 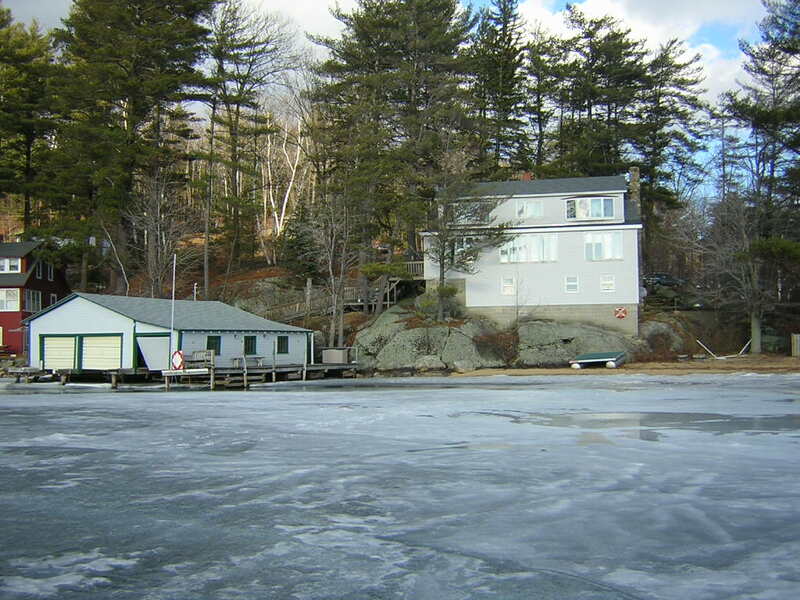 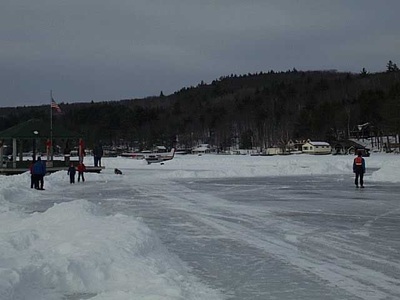 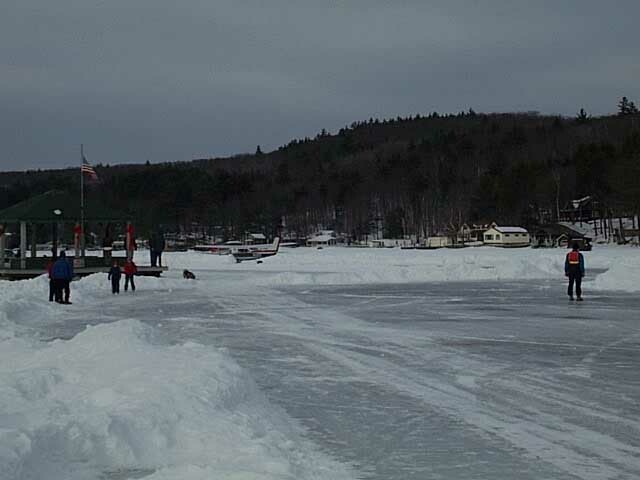 The lake is 504' above sea level, and the winter of 2002 is the first year since they started keeping records about 160 years ago that it did not completely freeze. Typically it is frozen hard from mid-January to mid-April. 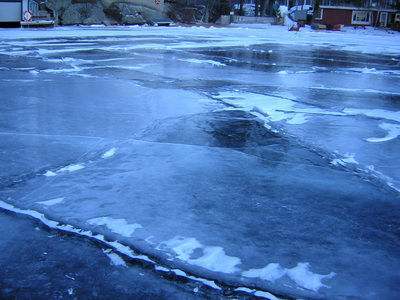 We even have an airport on ice -- as shown below. while the pictures below appeared in a gallery. All images herein are copyright protected..